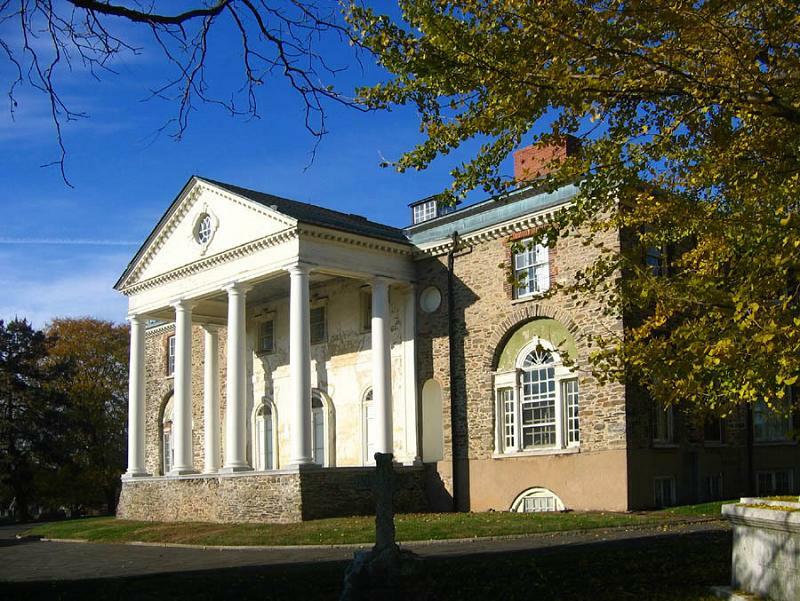 The Woodlands in Philadelphia, the former country seat of William Hamilton, offers the public one of the nation's most architecturally sophisticated neoclassical houses from the years following the American Revolution. Its Schuylkill River site, originally located beyond the western edge of the city, was reshaped by Hamilton in 1786 to reflect contemporary English picturesque landscape and horticultural ideals. In 1840, local investors purchased the intact core of the estate to transform the grounds into a rural cemetery. Still active today, Woodlands Cemetery retains two of Hamilton's 18th-century buildings, elaborate Victorian funerary monuments, curving green contours and majestic trees. This park-like setting was named a National Historic Landmark District in 2006 and provides an oasis of nature amid the bustling University City neighborhood.